1. Semiperive Lagaaia (“Lagaaia”), Johannes Uili (“Uili”) and Selesitina Talatonu (“Talatonu”), you are each charged with assaulting a student, Alesana Misa Onosai (“Alesana”), male of Moamoa and Lalovaea on 28 March 2017, contrary to s 123 Crimes Act 2013. 2. The charge attracts a penalty of imprisonment not exceeding 1 year. You entered guilty pleas at the first mention of the matter on 19/06/17 and appear today for sentence. 3. Uili and Talatonu you accepted the amended summary of facts (“SOF”). Lagaaia however disputed paragraph 8 which alleges that you slapped the victim five times on the cheek. The matter then went to a disputed fact hearing on 4/10/17. 4. Both Prosecution and Defence called two witnesses each. First up is the victim Alesana, from Moamoa a year 9 student at Faleata College. He gave evidence that on 28/03/17 during the second period, he was in the room when Lagaaia his English teacher called him out and slapped his cheek 5 times with the palm of his hand. He described it as four slaps on one cheek and a back hand on the other cheek. Afterwards, he went back to his desk and sat down. 5. Under cross examination, it was put to him that he had made a statement to Police where he stated that Lagaaia slapped him once on the cheek and hit his back. At first he conceded that the statement he gave Police was the truth, then recanted and said it was 5 slaps. 6.The second witness, also a year 9 student at Faleata College Jericko Falalua (“Jericko”) testified he was with Alesana in the room when Lagaaia slapped him five times on the cheek describing it the same manner as Alesana. He was standing not far from Alesana who was by the door and Lagaaia the other side. 7. It was put to him under cross examination that it was one slap and not five but he insisted that it was five. When questioned further if he and Alesana were cousins and if he knew Auvaa Fonoti, Alesana’s father, he denied both. I will come to this after. According to Jericko, Lagaaia does not take a subject in their class. 8. Defence called Maria Tuipea (“Maria”) and Lolouta Lolouta (“Lolouta”). According to Maria, Lagaaia had sent her and another female student, Meritiana to fetch Alesana who was in the classroom at the time to come outside and weed the grass with other students. Meritiana had called out to Alesana who was still in the classroom but he swore at her “kefe”. Meritiana then reported this to Lagaaia who was outside supervising students weeding. 9. When Alesana eventually emerged, Lagaaia called him out and asked why he swore at Meritiana. Maria observed that Alesana in her words was “fia faali’i” and she saw Lagaaia slapped him once on the cheek. She also heard Lagaaia tell off Alesana for swearing at Meritiana and that he should be treating her like a sister. According to Maria, Alesana and Jericko are cousins. 10. Lolouta gave evidence that he is Alesana’s best friend and it was him who was with Alesana when Meritiana came to the classroom and called out for them to come outside and weed the grass on Lagaaia’s instructions. According to Lolouta, Jericko was not in the room. But when Meritiana called out, Alesana swore at her “k***”. This was reported to Lagaaia who confronted Alesana as to why he swore at Meritiana. 11. Lolouta testified he could observe that “ua faalii Alesana i le faiaoga”. He saw Lagaaia slap Alesana on his cheek and told him not to swear at Meritiana again. He and Alesana then joined other students weed whilst Lagaaia supervised. He basically corroborates Maria’s evidence. 12. The disputed hearing comes down to the issue of credibility. Having assessed the evidence and demeanor of the witnesses, I accept the evidence of the defence and in particular Lolouta as more credible. 13. I must say, I found the demeanor of Alesana quite troubling. He struck me as cheeky, impolite and unruly. He swayed on the crucial evidence regarding the slaps. I accept Maria’s evidence where she said that Jericko and Alesana are cousins and according to Lolouta, it was him who was with Alesana in the room not Jericko. 14. Both Alesana and Jericko testified the hits were administered in the room whereas Maria and Lolouta said it was outside. Both aslo described the slaps exactly the same manner suggesting they discussed the evidence. Other aspects of their evidence are also similar and give the impression there was no provocation. There was obvious bias and possibility that Jericko only gave evidence to support his cousin Alesana. 15. Overall, I accept on the basis of Lolouta’s evidence which I found to be truthful and more credible, and supported by Maria that Lagaaia administered one slap, not five as alleged in the SOF. 16. The SOF states that at about 8.30am of 28/03/17, Lagaaia started the day’s teaching with the victim’s class where he called him out and slapped him. 17. Later on the same day, Talatonu started her class where Alesana was a student as well where one of the students informed Talatonu that Alesana swore at her. Talatonu then called out Alesana to question him about the allegation. Not long after she slapped him on the left cheek. 18. Uili taught his class not long after where Alesana was again a student. Alesana was disruptive in class and he was told to keep quiet but he continued. Uili then hit him on his back with his palm. 19. Each of you accused have Pre-sentence reports (“PSR”) summarizing your version of events which I accept. For you Lagaaia, you told Probation you slapped Alesana as one of the female students had reported he swore at her. This is the evidence I heard at the disputed fact hearing. 20. Uili you told probation you hit Alesana’s back as some of your female students reported that Alesana poked the sides of their tummies. For you Talatonu it was because Alesana had sworn at one of the female students who was quite distressed about this and crying when she reported it to you. 21. Your PSR sets out your personal background. 22. For you Lagaaia, you are single and now 28 years old. You grew up at Iva Savaii attended primary school there, then college at Avele. 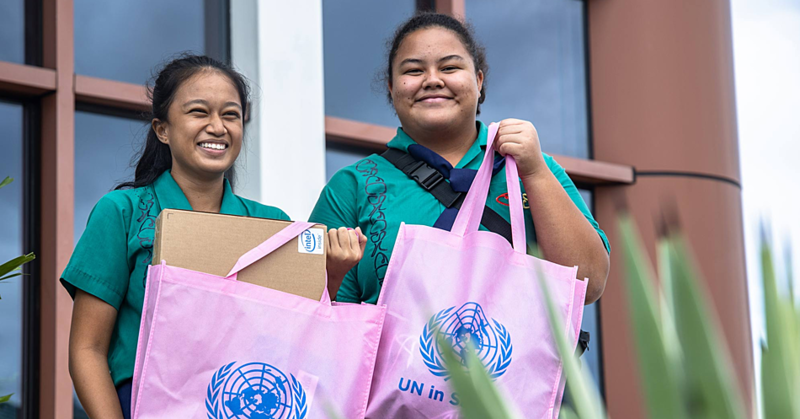 You made it to the National University of Samoa (“NUS”) and completed a teaching degree at the secondary level. You then started your teaching career at Aana Secondary from 2012 to 2016. 23. This year you commenced teaching at Faleata College. You have had five years’ of teaching experience. You reside with your parents and some of your siblings at Vaitele-uta but also have siblings in Savaii and you send them money to assist with their daily maintenance including school expenses. 24. Uili you are now 26 years old and second sibling in your family. You grew up at Sataoa but now reside at Vaimoso with your grandmother. You started schooling at Marist Primary School then St Josephs College. You also attended NUS where you took up a bachelor of teaching. 25. 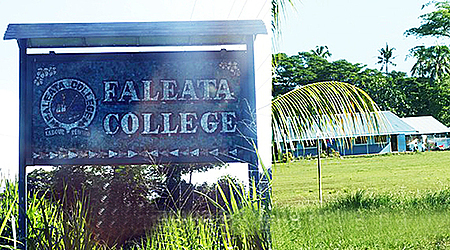 Upon completion of your tertiary studies at NUS you then started teaching at Faleata College. Like your other co – accused colleagues, you also work hard to assist with the sustenance of your family. 26. For you Talatonu, you are 30 years of age, married with three dependent children. You were born and raised in your paternal village of Tufulele and the second of three siblings. Your PSR says you were raised in a low income family with your mum as sole provider. 27. But this was not a hindrance as you acquired a high level of education as evident in your attainment of firstly a Diploma of Education and later a bachelor in Education degree from NUS. You have since 2007 had a lucrative teaching career; a total of 10 years’ experience. You are a devoted mother. Like your mum, you are the sole provider for your family. 28. Alesana is a 14 year old, year 9 student at Faleata College and resides at Moamoa. You are his subject teachers. 29. Alesana confirms that you apologized, and that he and his family have forgiven each of you, reconciliation was achieved and $500 was received together with an ie-tele. 30. The Victim Impact Report (“VIR”) also relayed his wish with his family to withdraw the charges against all of you. 31. As is common with this type of offence against teachers, the use of physical force to discipline a student is an aggravating feature. 32. The victim would have been vulnerable at the time of the three incidents and might have felt embarrassed and belittled before his other fellow students. 33. Students regard schools as a safe environment where they can be protected by teachers who act in locus parentis in the absence of their parents. There is always the possibility that Alesana might have been disillusioned about this. 34. The fact Alesana was hit by each of you at three different intervals of the same day suggests he would have suffered some physical pain and emotional harm. 35. On each occasion when you administered the slaps, you were provoked by the unruly and cheeky conduct of the victim whom in my view lacked discipline. 36. Section 14 Infants Ordinance 1961(“IO”) provides for the right of a parent, teacher or any other person having lawful control or charge of a child to administer reasonable punishment to the child. 37. I consider this a mitigating feature of the offending, elaborated on further below. 38. There are no aggravating factors relating to you as you are all first offenders. 39. You have each pleaded guilty reflecting your remorsefulness and willingness to accept responsibility for your actions and thereby saving the Court some time and resources from a full hearing. 40. Your remorse is further reflected in the personal apology carried out on the victim and his family as confirmed in the PSR and VIR. $500 was gifted to the victim’s family together with a fine mat as is customary and this was duly accepted. The father of the victim pleas that this matter be withdrawn. 42. I must take into consideration your respective personal circumstances. You have promising teaching careers. You each have favourable PSR and written testimonials from those who know you well speaking volume of your good character. 43. The principal of Faleata College, Tanuvasa Michael Grey stated that he is indebted to each of you for the invaluable and loyal service you provide to foster students’ academic and social development including extra-curricular activities. 44. Two of you trained and supervised the school’s athletes to the national championship for inter school boxing and weightlifting. Talatonu deals with after school tutorials and remedial classes when required. Lagaaia, you supervise after school female sports training and school beautification. Uili, you deal with students’ remedial work for Social Studies and Geography. 45. Uili and Lagaaia you joined the school this year and quietly established your selves. But like Talatonu, who was there longer than the two of you, you each exhibited a high level of professionalism and achievements from students. You are each viewed as exceptional staff members of Faleata College and your school principal commends your unselfish passion for the betterment of the students contributing to raising the calibre of school. 46. Lagaaia, there is also a letter from Epikopo Dallin Talataina again echoing your good character and confirming you are the president of the YSA, is reliable, trustworthy and supportive of any church activities. Another character reference was submitted by Tanya Toailoa a lawyer by profession and your sister in law speaking of the important domestic duties you carry out including caring for your parents and younger siblings. 47. The same with you Uili. A letter from Reverend Mikaele Fonoti confirmed you are the treasurer of the youth group, a member of the choir and Sunday school teacher. You are also seen as reliable and trusted with good moral ethics, great potential and a pleasant personality. 48. For you Talatonu, your parents and husband Malua, three people who know you better than anyone else, testified to your unwavering service within your own family, church and village. You had an ambition to attain a higher level of education as seen in your graduating from NUS with a Bachelor of Education in April 2017. You work hard to support your young children aged, 5, 3 and 4 months old. They are all dependent on you for their livelihood and guidance. 49. The above testimonials paints a picture of three highly qualified teachers who have had unblemished records, impeccable lives and thriving teaching careers. 50. It therefore suggests that this offence is out of character and was due to momentary lapse of judgment on your part in the method of discipline you administered in the circumstances. .
51. Your Counsel requested that you be discharged without conviction under ss69 & 70 Sentencing Act 2016 (“SA”). Prosecution does not oppose the application. But I remind myself that such consent does not bind the Court. 52. As I observed in P v Lauina an application of this nature, was previously dealt with under 104 repealed Criminal Procedure Act 1972). However with the new SA, it is now governed by ss69 & 70 SA. Determination of a discharge without conviction under the repealed CPA required meeting the three step test as set out in P v Papalii and Moalele. 53. I concluded in Lauina, that the enactment of ss. 69 and 70 SA did not create a new threshold test different from that in Papalii & Moalele. 54. Section 70 SA mandatorily requires that before a Court exercises its discretion to discharge an accused without conviction under s69 SA, it must be satisfied that the consequences of a conviction would be out of all proportion to the gravity of the offence. Section 70 is therefore a pre-condition or gateway that any application for a discharge without conviction must pass. This is where the three step test comes in. 55. The three step test concerns firstly, the court considering the gravity of the offending. Secondly, the direct and indirect consequences of a conviction on an offender and thirdly, whether the consequences of a conviction are out of all proportion to the gravity of the offending. 56. I now turn to consider the three step test below. 57. In assessing the gravity of your respective offending, I must take into account the relevant aggravating and mitigating factors already alluded to above, totality of your offending and its peculiar circumstances, purpose and principles of sentencing and any other factor that might affect the Court’s assessment of your degree of culpability. 58. The charge you each face is common assault on Alesana over different intervals on the same day. It attracts an imprisonment penalty not exceeding 12 months. At first glance, the penalty is not severe and suggests Parliament sees it as a minor offence compared to others in the category of offences involving assaults and injuries to persons. 59. I accept that on each occasion when the assault was administered, the victim was particularly unruly and difficult to discipline. I accept his conduct was provocative meriting discipline. 60. Firstly, with the incident involving you Lagaaia, you had sent Meritiana to fetch him to join other students weed. However, he was defiant and retaliated by uttering a vulgar swear word at Meritiana, a female student causing her much distress, that she immediately informed you about it. 61. Logouta and Maria observed that Alesana was “faalii” when you told him off for swearing at Meritiana. In your role as teacher you reminded him that he should be more respectful towards Meritiana and treat her like a sister. This is an ingrained cultural value and norm we conform to as Samoans which schools similarly try their best to instil in students. You slapped him once on the cheek. 62. Later on in the day Uili, you started your class. Alesana’s conduct obviously had not improved as he was still irrepressible and distractive in class as per the SOF. According to your PSR, some of the female students in your class reported Alesana poking the sides of their tummies. You confronted him about it but again he showed no remorse but was impolite, defiant and rude. You hit him once on his back. 63. For you Talatonu, during your class where Alesana was again a student, one of your female students was in tears and reported to you that the victim swore at her. Your counsel submits that swearing at anyone at school, as with all other schools is strictly forbidden. You also confronted Alesana about this and slapped him once on the cheek. 64. I see a recurring pattern here of disorderly conduct by Alesana. On each occasion it involved a female student. On two occasions he was disciplined for swearing at the concerned female students. Such conduct by Alesana can be categorised as criminal in nature in the form of assault and uttering insulting words. No doubt the school policy would have deemed it as misbehaviour warranting punishment. 65. I accept there was on each occasion some physical force. But in my view a slap is minor compared to others to name a few involving the use of a fist to punch, continuous violence including repeated hits and use of a weapon or instrument. 66. This was clearly evident in the cases of P v Paleaae and P v Panapa. The former involved charges of assault, actual bodily harm and armed with a dangerous weapon against the accused a school vice principal. The latter case concerned assault occasioning actual bodily harm and the accused was the school principal. 67. In Paleaae, Justice Tuatagaloa observed that the use of a weapon, continuous assault, degrading and humiliating treatment and injuries sustained by the victims were aggravating factors. The accused was sentenced to 10 months imprisonment. 68. In Panapa, the accused had used a machete (sapelu) to hit the cheek of the victim causing lacerations. Justice Clarke viewed the offending as serious and in breach of s23 Education Act 2009 (“EA”) forbidding corporal punishment. The accused was convicted and sentenced to 4 months imprisonment. 69. Here, no injuries were sustained and I do not accept what is alleged in the VIR that from the assaults, Alesana, sustained bruises on his nape and mouth. Alesana did not say anything about this during his oral evidence at the disputed hearing. I find it hard to believe, in fact almost too incredible that such injuries would have resulted from the one slaps administered on the cheek by Lagaaia and Talatonu. 70. But this also raises the question of whether the minor assaults here and your specific actions tantamount to corporal punishment contrary to s23 EA as was the case in Paleaae and Panapa? 71. Literature abounds about what constitutes corporal punishment and movement in most commonwealth countries to eliminate its use in schools. For us, we have ratified the Convention on the Rights of the Child in 1992 and arguably this may have contributed to the policy adopted in the EA abolishing the use of corporal punishment in schools. 73. Section 23 (1) (a) EA then provides that a school must have a disciplinary policy which must not permit the use of corporal punishment. 74. There is nothing before me to confirm that Faleata College has a disciplinary policy forbidding corporal punishment as required under s23 EA. But I note the requirement under s56 EA that each Ministry and village school must ensure this policy is in place and implemented. 75. Be that as it may, I must bear in mind that s14 IO, preserves the traditional common law right of parents and those who are in locus parentis such as teachers who have lawful control of a child, to administer reasonable punishment. This provision however, does not reconcile with the above s23 EA. 76. Yet when the EA was enacted in 2009, section 14 IO had long existed and it could have been repealed to avoid inconsistency. But it was not. I do not know why and I am not going to deal with this today in the absence of full submission and research. At the end of the day it is Parliament’s problem. 77. Suffice to say that the use of reasonable force to discipline a child is by virtue of s14 IO still a valid common law defence for assault on a child by a parent or teacher. The main issue for consideration where the defence is put forth is whether the infliction of force is reasonable. It is a matter of degree. So each case will turn on its own facts. 79. A child is defined in s2 IO as an infant under 16 years of age. This is a non-issue here as Alesana is 14 years old. 80. Obviously, the physical force used in Panapa and Paleaae were unreasonable and excessive and do not attract the protection of s14. But here, I hold that it does attract the protection although defence counsel did not raise it. 81. But in my role as judge in ensuring justice is administered and seen to be done, I cannot ignore s14 OA still exists. In the instant case, I view it as a critical factor mitigating the offence. 82. Here, I deem the slaps on each occasion as reasonable force administered to discipline a rather disobedient, irrepressible unruly student who not exhibited a rude and cheeky personality, but also has no respect for female students as evident in the unwanted touch he carried out and utterance of vulgar words. 83. In terms of the mitigating factors and aggravating features these are canvassed above and need not be repeated here. Although I accept Alesana might have suffered some harm, it was however, trifling. 84. You have at the end of the day done all that you could to right that harm by apologizing, gifting $500 and ie tele and achievement of reconciliation. This is in line with ss7(2)(e) and 9(1) (d) and (e) SA. Alesana and his family even requested that the charges be withdrawn. 85. You have pleaded guilty and are deeply remorseful and regretful. I take into account your good character, personal circumstances, high level of education and important teaching careers. At the end of the day the offence is out of character. 86. I also have in mind the purpose and principles of sentencing as set out in ss5 and 6 SA involving holding you accountable, deterrence and denouncing your conduct. 87. Having weighed all these factors, I am of the view that the gravity of the offending is on the lower end of the spectrum. Therefore, the first limb of the test is met. 90. Your counsel urged that there will be substantial hardship on you if a conviction is ordered given the nature of your teaching career requiring you to be good role models with clean records. You are also interested in furthering your studies and a conviction may hinder this. 91. Given my observation above that the offending was minor and militated by s 14 IO, I therefore accept that there is a real and appreciable risk that a conviction may well end your teaching career. The second limb of the test is met. 92. In terms of this limb, I would say definitely. The entering of a conviction in your names would be out of proportion to the gravity of the offending which is minor. 93. As I said above, your case is distinguished from Paleaae and Panapa as the gravity of offending in both those cases were more severe and cruel involving the use of weapons and continuous assault. It led to the victims sustaining physical injuries or actual bodily harm apart from emotional and psychological harm. 94. It is clear from your PSR, the path you took to be where you are at has not always been smooth sailing. You struggled against the odds. But you successfully graduated with your respective teaching degrees. Talatonu you graduated recently with a bachelor of education. 95. But sadly, one momentary lapse of judgment on your part in disciplining the student concerned led you to your first brush with the law. Should I punish you for that momentary lapse and trying to cope with a difficult child the best way you thought possible given the situation? Should I enter a conviction in your names thereby marring your good character for the rest of your lives? I do not think so. 96. You each opted to be teachers so you may contribute to the academic and social development of the students you teach to assist them realize their dreams. It is a known fact that we have a shortage of good teachers. I am certain your students have benefitted from the wealth of knowledge and skills you imparted. It is not an easy job. It has many challenges and patience is an important virtue. 97. 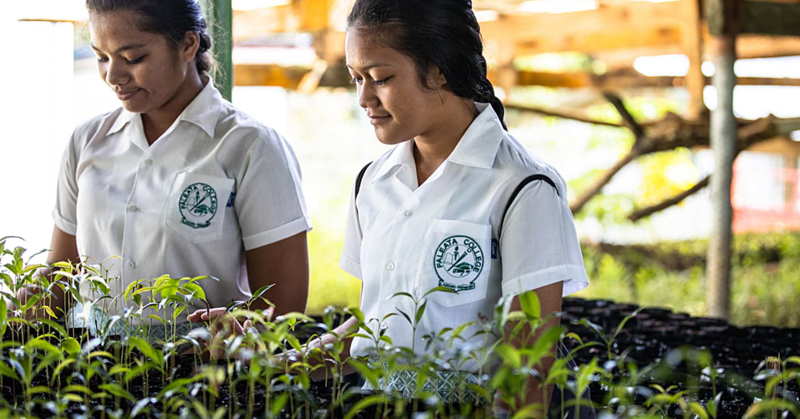 It is obvious from the testimonial by the Principal of Faleata College that you each play instrumental and distinctive roles as teachers both during and after school hours through the remedial programmes you undertake. The extra-curricular duties you perform also shows your passion and commitment to your students and the school. 98. But it is equally important that you appreciate that assault is a crime and the use of violence in schools cannot be condoned. Assault by teachers is on the rampant rise and it is crucial that the public knows that teachers who do subscribe to it are not immune from the law and will suffer the consequences. 99. I must urge you to explore other disciplinary methods that are more suitable to any circumstance you face. There are other assertive ways of dealing with difficult and troublesome students. At the end of the day, you have a duty to the students to protect them. They are supposed to be in a safe environment when they come to school. The focus should be on learning. 100. It is crucial that you equip yourselves with more assertive methods of disciplining students to avoid a recurrence of this incident. Our Samoan proverbs always carry with it the importance of talking and discussion. The saying that comes to mind is, “o tama o le tagata e fafaga I upu ae o tama a le manu e fafaga I fuga o laau”. 101. If you wish to continue to have a long fruitful career as teachers then it is timely you research, attend trainings and practice alternative disciplinary methods other than physical force. 102. Having considered the above, I am satisfied that the consequences of a conviction will be out of all proportion to the gravity of the offending. A conviction would mar your good names for the rest of your life with the possibility of an end to your teaching careers. But this offence is out of character. 103. In Police v Fetu, Tuatagaloa J sentenced a teacher defendant with a discharge without conviction on 24/01/13 on a similar assault charge. 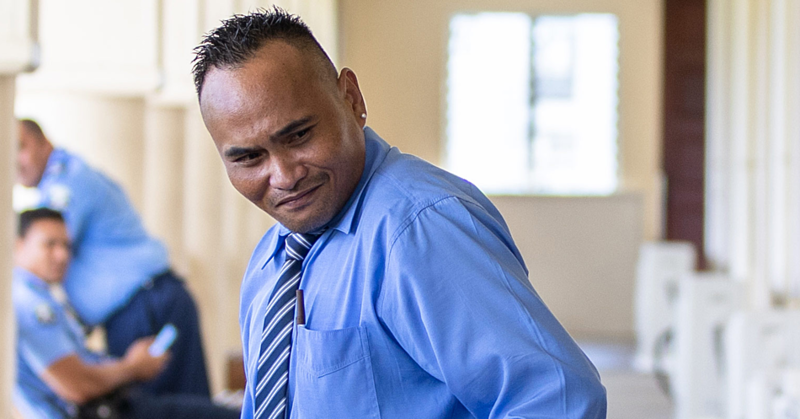 Similarly in P v Tuuga, a teacher accused charged with assaulting seven different students on the same day was sentenced to pay forthwith $100 prosecution costs and $100 Court costs. The accused was also ordered to complete 40 hours of community work and upon completion he would be discharged without conviction. 104. I take guidance from these cases especially the peculiar circumstances of your own case. 105. Accordingly, the test under s.69 SA is met and I will exercise the discretion under s.70 to discharge you without conviction. 106. Upon the payment by each of you of $200 court costs and $50 prosecution costs by 12pm 20/10/17, you will be discharged without conviction. 107. In default, then a conviction will be entered and you will serve two weeks imprisonment instead. 108. This sentence comes with a stern warning. I have let you off the hook today only because of the pertinent circumstances and factors alluded to above. But do not take for granted this opportunity and the mercy of the Court. 109. Do not think that this is a blanket excuse to allow you to continue to assault students because the next time you appear you may not be so lucky. 110. One mistake can easily lead to your standing before this Court and you have seen firsthand that it is not a pleasant experience. It is rather demeaning, frightening and stigmatizing. 111. I have every faith that you have learnt your lesson from the hardships that you endured having had to appear in Court to deal with this matter. But such comes with the territory. 112. So let this be an invaluable lesson to all of you. I do not want to see you back here on a similar charge on students. You need to stay as far away as possible from this place and put this behind you. 113. E tele lo’u talitonuga o lo’o lava le tofa ma le faautaga ia te outou ina ia tagai ai i tulaga uma nei; ma ia fetala’i le tofa; toe susue seisi itulau fou aua lava le lumanai manuia o alo ma fanau o lo’o a’o tau ia te outou.